Whether for business or pleasure, most air travel starts with a ride on the airport shuttle bus. Unfortunately, some trips never make it any further than that due to serious accidents involving airport shuttle buses. The monotony of driving the same route over and over each day often leads to inattention. CB communications with the base or obnoxious passengers can cause the shuttle bus driver to be distracted. Improper maintenance or defective equipment can cause a loss of control. All of these and many other factors can cause an accident. Worse yet, some of the passengers are standing or unbelted. Suitcases and other gear become projectiles inside the cabin. All of these things combine to cause serious injuries and even death in a simple airport shuttle ride. 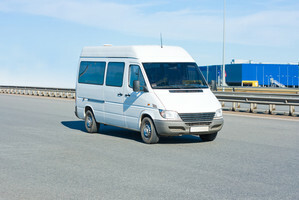 If you have been injured in an airport shuttle bus accident, call the Law Offices of John Day. One of our experienced bus accident attorneys will meet with you and provide a free, no-obligation consultation. We will thoroughly investigate your bus accident and identify its causes and all potential at-fault parties. Our bus accident attorneys know the law and regulations associated with bus accidents and can help you recover the compensation you deserve. As with any accident, time is of the essence in a bus accident. Valuable scene evidence such as skid marks or yaw marks can be lost in a very short period of time. And while you are recovering from your accident, the bus company is busy interviewing witnesses and gathering evidence in hopes of denying your claim. Level the playing field by calling us today at 615-742-4880 or toll-free at 866.812.8787 or contact us online.